A beautiful pair of Huggalug legwarmers in beautiful pink flake design. Perfect for the spring, very pretty. Make a great second layer under trousers or coats(for arms) to keep out the cold without having the bulk of clothes around their tummies. 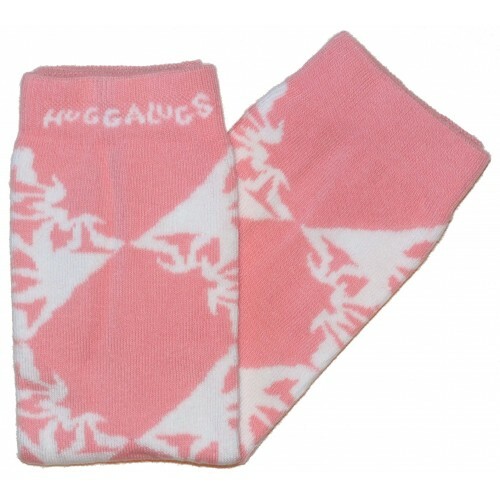 Encourage children to pull Huggalugs on all by themselves, even over shoes. This will help them to have a little independence as they learn to dress themselves. As the thigh cuff is wider than the ankle cuff to ensure a really comfortable fit.